Poverty, inequality and unemployment have been the long-standing challenges in the Republic of South Africa. 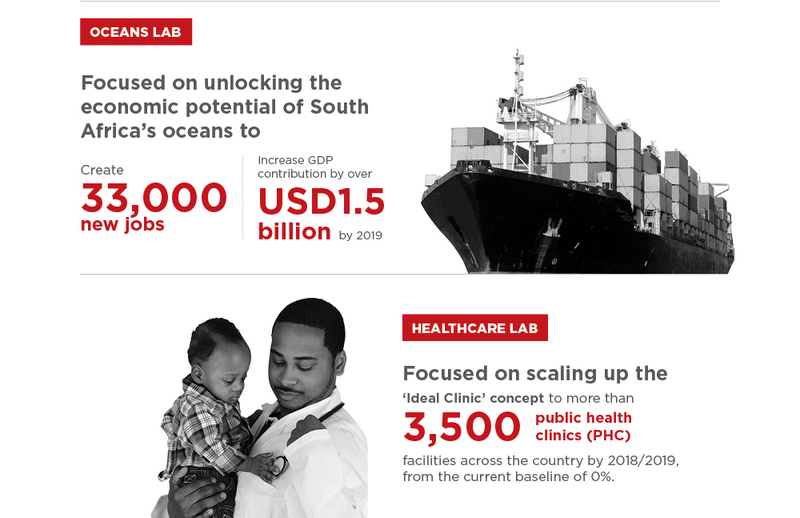 In 2014, PEMANDU facilitated two labs in the country designed to unlock the economic potential of the country’s oceans and healthcare industry under Operation Phakisa. The lab sessions provided detailed roadmaps and direction for South Africa’s maritime activities and healthcare industry. Using PEMANDU’s problem-solving and performance management methodology, the South African government devised a game-changing growth strategy – Operation Phakisa (“Hurry up” in the Sesotho language).